I know it's only been a few weeks since I posted my January reads, but I thought I'd get my February reviews up before we get to the midway point of the month. February was a slower month for me when it came to books, and I am a little behind my current target for the year. 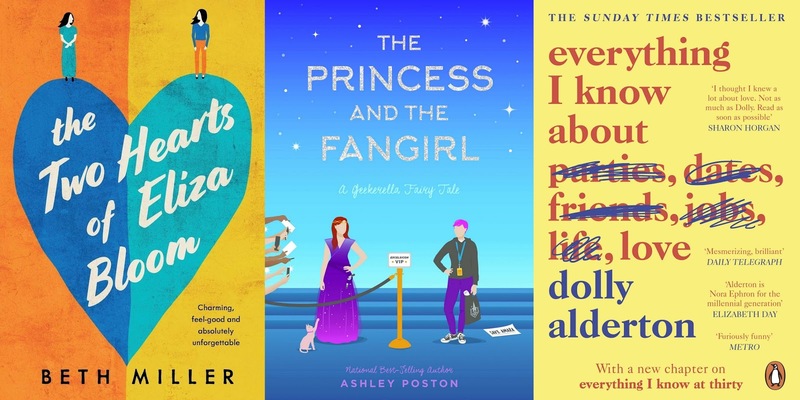 Here are the three books I read last month! I received this book free from NetGalley in exchange for an honest review. This book is out now. This was such a wonderful book, and I actually finished it the same day I started it. The story follows Eliza (Aliza) Bloom, who grows up in an orthodox Jewish family. She meets and shortly after marries Alex, who introduces her to a world outside of what she knows. I loved following Eliza’s journey of self-discovery, and it was just so heartwarming to read. It opened my eyes to a culture that I didn't necessarily know a lot about previously, even though it was set right on the doorstep of where I grew up. I received this book free from NetGalley in exchange for an honest review. This book is out 2nd April. Even though this is a companion novel to Geekerella, I didn't feel too lost having not read that, other than not knowing the back story of some characters. In all honesty, I loved it so much that I couldn't put it down. As a modern-day Princess and the Pauper, the story focused on actress Jess, who was at ExcelsiCon with the cast of her movie Starfield, and her look-a-like and con attendee Imogen, who accidentally ended up taking the place of Jess on a panel. When the audience didn't realise, and after Jess got in a spot of trouble that she had to figure out, they decided to swap places. The novel was written from both sides, and I loved hearing the adventures of both Jess and Imogen, who got more than they bargained for in the swap. It was a novel that touched my fangirl heart, and I laughed, smiled and cried the whole way through. I'm definitely going to have to pick up Geekerella soon to read! Sometimes in life you just need to read a book that completely speaks to you. This what that for me. As someone who knew little about Dolly before this book, other than her being a journalist, I enjoyed this more than I expected. This memoir is full of stories about Dolly's experiences growing up on MSN, falling in love and the power of female friendships. It is honestly one of the most heartwarming and funny memoirs I've read, and I laughed and cried throughout. It was relatable, and as a single twenty-six-year-old it was definitely something that I needed to read at that exact moment in time. So those three take the total for the year up to seven out of fifty-two books. Have you read any of them? Let me know your thoughts! This food was gifted in exchange for a review. If you know me even a little bit, then you'll know that I love food. When the lovely team at Popcorn Shed got in touch to ask if I wanted to try some of the UK's first super-premium popcorn, I knew I couldn't resist. 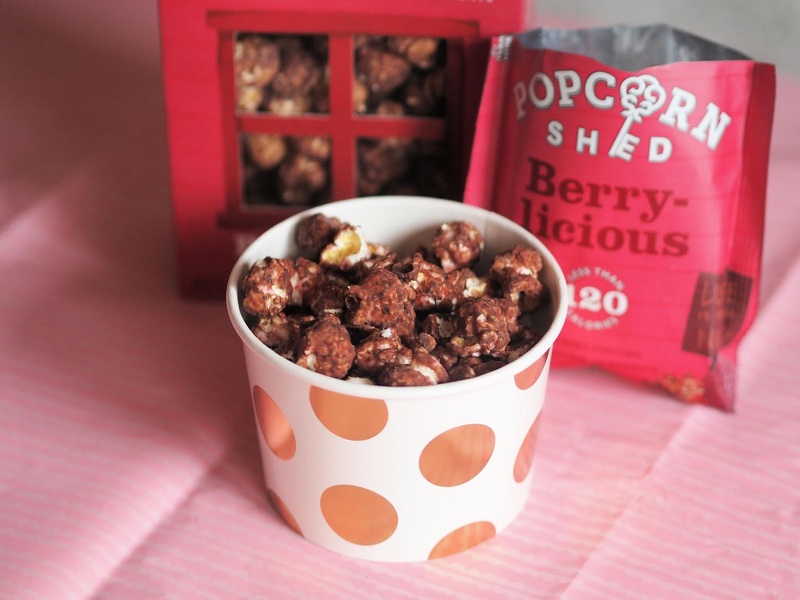 Founded by cousins Laura and Sam, Popcorn Shed is a UK based, family-owned company that came about after they decided they wanted to perfect irresistibly indulgent popcorn recipes in their family kitchen. They combined patience, passion and all natural high-quality ingredients to create seven delicious popcorn flavours, and so along with my housemates Katie and Jon, I decided to see whether they could become one of my new favourite snacks. Butterly Nuts - Peanut butter caramel popcorn with roasted peanut halves. Honestly, this was the one I was least looking forward to trying (and actually almost didn't) as I really dislike peanut butter. After Katie and Jon both said how mild the flavour was, I tried some, and it was surprisingly nice as the combination of caramel with the peanut butter toned down the flavour really well. Say Cheese - Cheddar cheese popcorn. We are all huge cheese fans, so really enjoyed these. The cheese is extremely potent but really different from other popcorn out there. Pecan Pie - Caramel popcorn with roasted pecan pieces. This was delicious. I am a massive fan of all things pecan, so knew I'd love this, but it was even better than I expected. Salted Caramel - Sea salted caramel with Belgian milk chocolate. This flavour was also delicious but we all agreed that it seemed like more of a standard flavour that you could probably get elsewhere. Sweet Cheesus - A mix of cheddar cheese and caramel. This was the flavour that we were all really intrigued by. Rather than being both flavours in one, this was a combination of some bits of cheddar and some bits of caramel, and it was surprisingly really really good. Jon loved it so much, he had to finish off the packet! Berry-licious - Raspberry and dark chocolate popcorn. Raspberry and chocolate is a combination that I really love, so I'm glad this met expectations. I really enjoyed the surprise of realising that the popcorn was actually coated in a thin layer of chocolate too! Pop N Choc - Chocolate caramel popcorn with Belgian milk chocolate. Again, the surprise of there being actual chocolate on this flavour was so lovely. It had a really nice flavour, but unfortunately, after tasting it last (and after the Berry-licious) it just seemed a little too standard when it came to popcorn flavours! 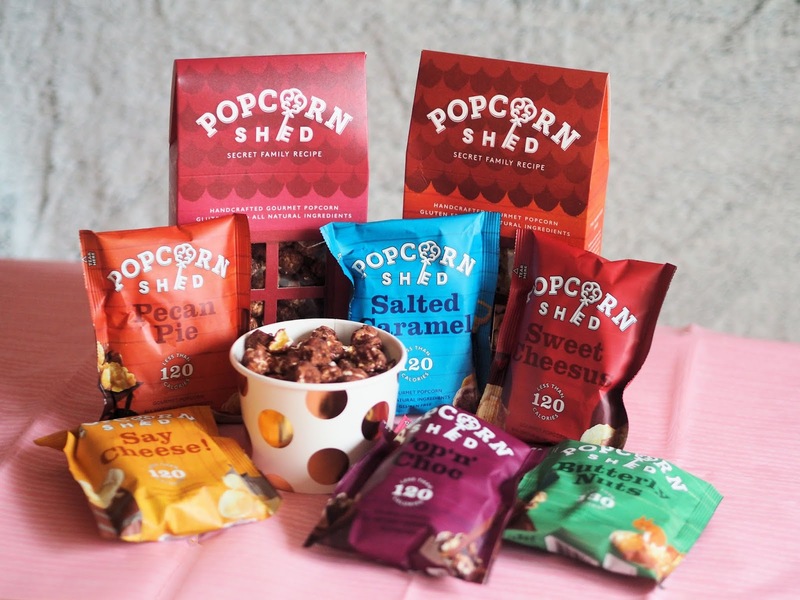 Overall, we really enjoyed every single Popcorn Shed flavour. Jon's top two were the cheese ones, although Sweet Cheesus came through on top as it was just so unusual compared to other popcorn flavours. Both Katie and I would go for Berry-licious and Pecan Pie, as they were great flavour combos! As I mentioned above, we probably wouldn't pick up Salted Caramel or Pop N Choc if we had all flavours to pick from, as they seemed more of a standard flavour that you could find elsewhere, combined to the other options available. 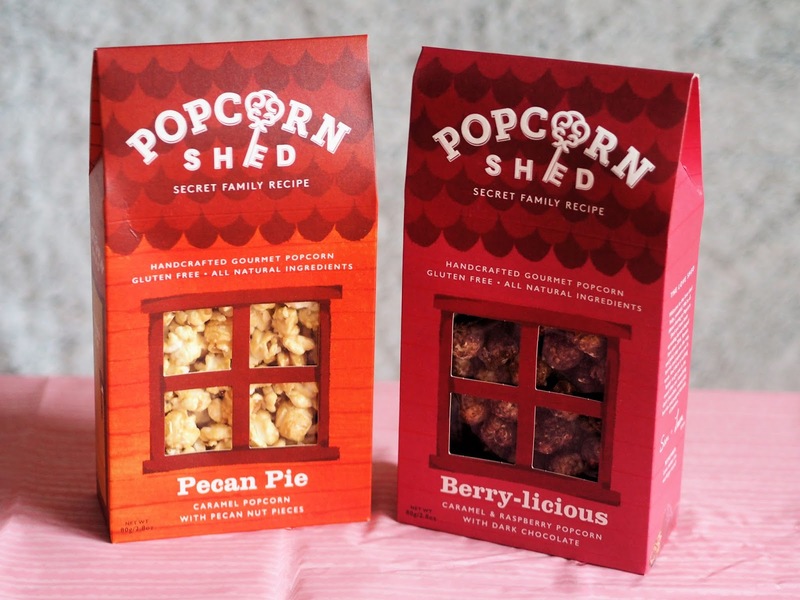 Popcorn Shed popcorn is absolutely delicious and I would definitely consider buying the smaller bags for me as a snack for me, or the really cute boxes as a gift for friends. Let me know if you try any! I know, I know, it's almost the end of February already, but I still wanted to share the books I read back in January. I set myself a goal of 52 books this year, and although I've already fallen off the track, I did manage to read four books last month, so here's what I thought of them! I didn't know what to expect when I started reading this book, and even part way through I was not expecting it to end the way it did. The story follows Cadence, one of the grandchildren of wealthy democrat Harris Sinclair. Every summer, the Sinclair's go to their own island, and the story follows their family, and the four Liars - Cadence, her cousins Mirren and Johnny, and their friend Gat. Cady's cousins all lie for their mothers, who are each competing for their father's inheritance, and although their family and this act annoyed me a little to begin with, in the end, I did really enjoy it. Now I haven't ever watched any of Arden's videos, but I loved the look and sound of this book when I saw it on my housemate's shelf, so decided to give it a read. It's a collection of stories about experiences that Arden had been through, and I found that she was extremely open and at times very blunt. It was a really quick, and funny read, and it was just a nice way to start the year. When I first started reading Fierce Fragile Hearts, the characters felt really familiar, but it wasn't until after I finished that I realised it was a companion novel to Beautiful Broken Things, so this completely works as a stand-alone novel. Fierce Fragile Hearts follows the story of Suzanne, a few years after Beautiful Broken Things, and just as she leaves care and moves back to Brighton. It was a beautifully told, but also an incredibly emotional story following Suzanne's struggles as she learns to live on her own and make a life for herself, despite her traumatic past. Reading this was an emotional rollercoaster, but I wouldn't have it any other way. I laughed and I cried. It was perfect. This was such a wonderful read. I absolutely loved the concept from the get-go but worried it could get too repetitive. It was far from it, and I was completely hooked the entire way through. Jack is such a loveable main character, and I loved reading about his realationship with Kate, and his friendships with Jillian and Franny. 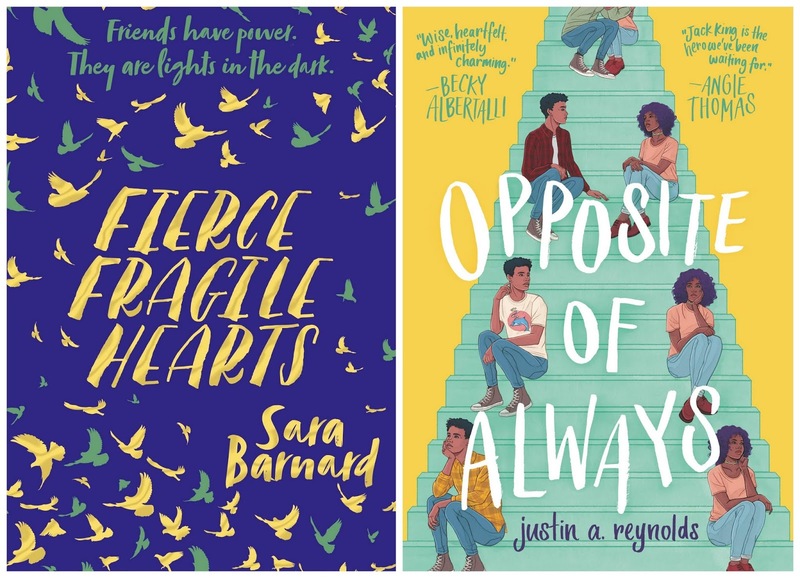 Another brilliant YA novel for 2019, and a fantastic debut from Justin. 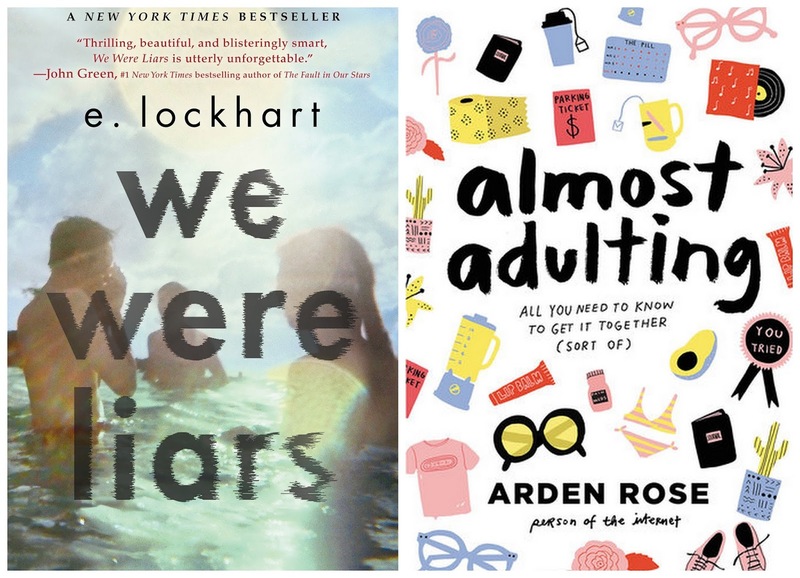 Let me know if you've read any of the books I read in January, and what you thought of them! I'm definitely going to try and get back into reading more this week, so should have another book post for you in a few weeks! "You are here, at the start of a moment..."
I first started listening to the Original Broadway Cast Recording of Come From Away back well over a year ago now, and it was the top of my list of shows to see when I eventually make it to New York again. Thankfully, though, I didn't have to wait that long, because back in June they announced that the show would be coming over to London. 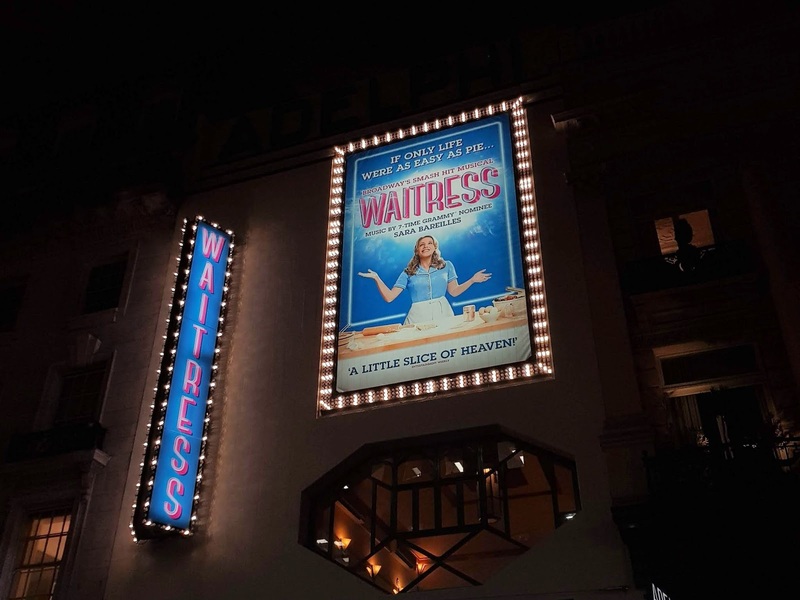 Even with having it booked for a few weeks time (and again a couple of weeks after that,) I knew that I couldn't wait a minute longer, and decided to book a rush ticket to see it on the opening night of previews. For those of you that weren't aware, on September 11th 2001, 38 planes were diverted to Gander in Newfoundland, Canada, due to the closure of the US airspace, following the terrorist attacks that took place that day. Come From Away tells the real-life stories of what happened on that day (and the following days) for both the Islanders and 'plane people' who find themselves in Gander. As I already knew the music particularly well (I had to stop myself mouthing along at times! ), seeing the show brought to life was the important part for me. The scripting in between songs was just as incredible as the music itself. There were so many moments that caught me off guard, and I spent the entire show on an emotional rollercoaster. I laughed, I cried, and I had the biggest grin on my face for pretty much the entire 100 minutes running time. One of my biggest worries, when I've listened to a recording, is not loving the cast I see as much as those that I've heard sing it a million times previously, but I actually got a sneak peek of the cast back in October as I was invited to the launch event at Canada House. Because of that, I knew that they'd be amazing when the show came round, but they went above and beyond. I could shout out every single one of them, but the standout performances for me were definitely Jenna Boyd's portrayal of Beulah, Robert Hands & Helen Hobson's portrayals of Nick & Diane (my favourite characters in the show!) 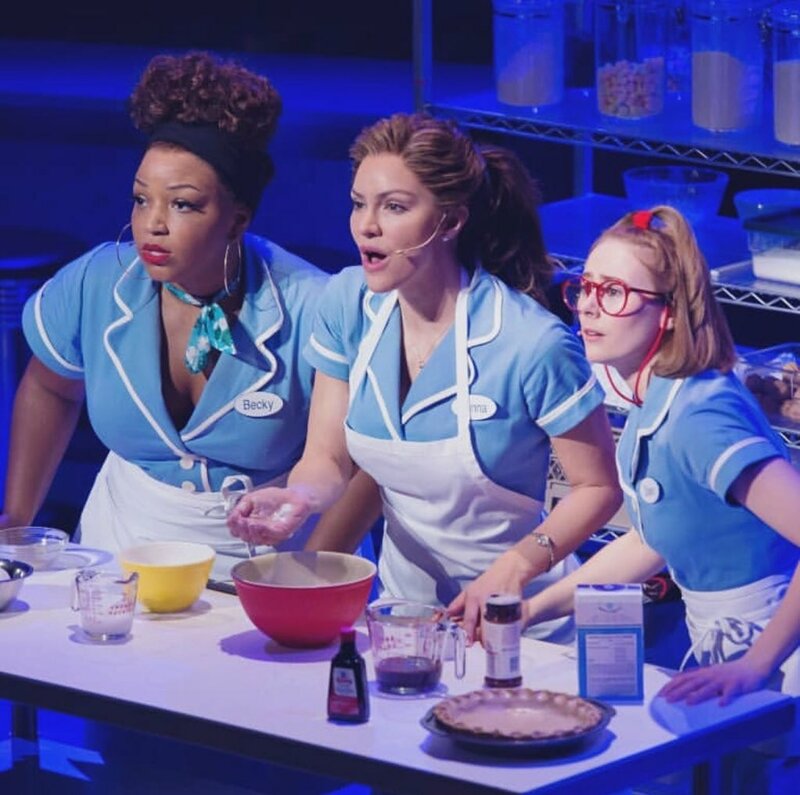 and of course Rachel Tucker's portrayal of Beverley, especially when it came to her performance of Me and The Sky. In case you haven't gathered by all I've said above (and by the fact that I'm going back to see it another twice in the next month! ), the show is absolutely phenomenal, and if you do get the chance to see it, you must. We only seem to hear stories of the horrible terrorist attacks that happened on September 11th, but this is a story from that day that shows that there are good people out there, and that's something I think we all need in our lives, especially now. 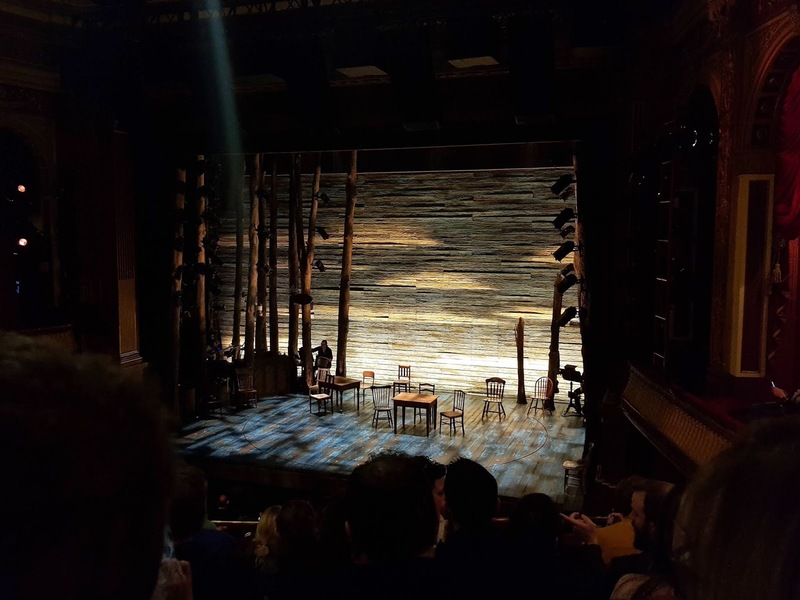 Come From Away is currently playing at The Phoenix Theatre, with tickets bookable until mid-September. 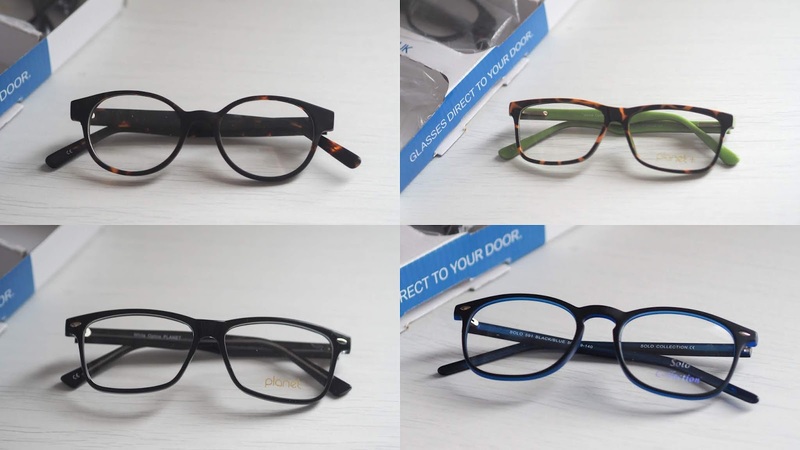 If you've been following my blog for a while, you may remember this post I wrote over two years ago now, about buying new glasses with Glasses Direct. I absolutely love the convenience of ordering through them, and was a big fan of the glasses I bought, so when they got in touch recently to ask if I wanted to try out their own brand range I couldn't resist. 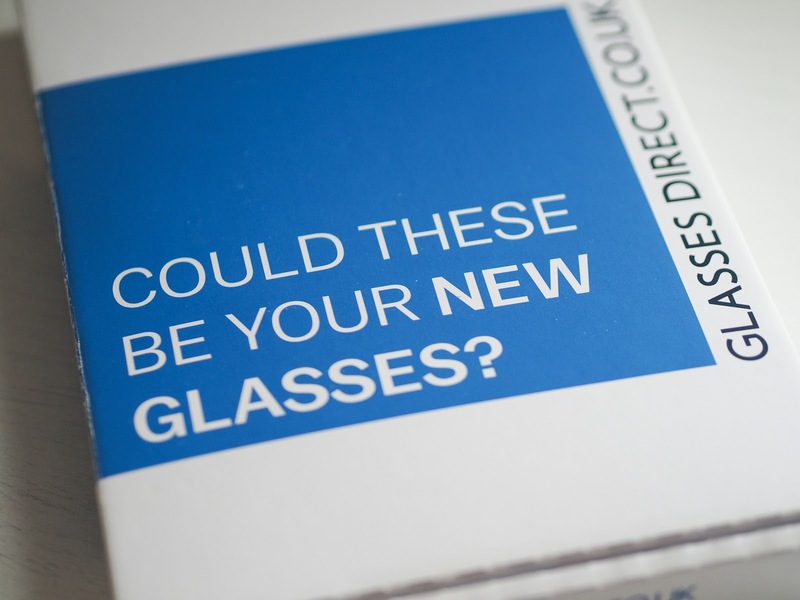 Glasses Direct currently offer almost 200 glasses in their own brand range and the frame prices start as low as £20, which makes glasses incredibly affordable. 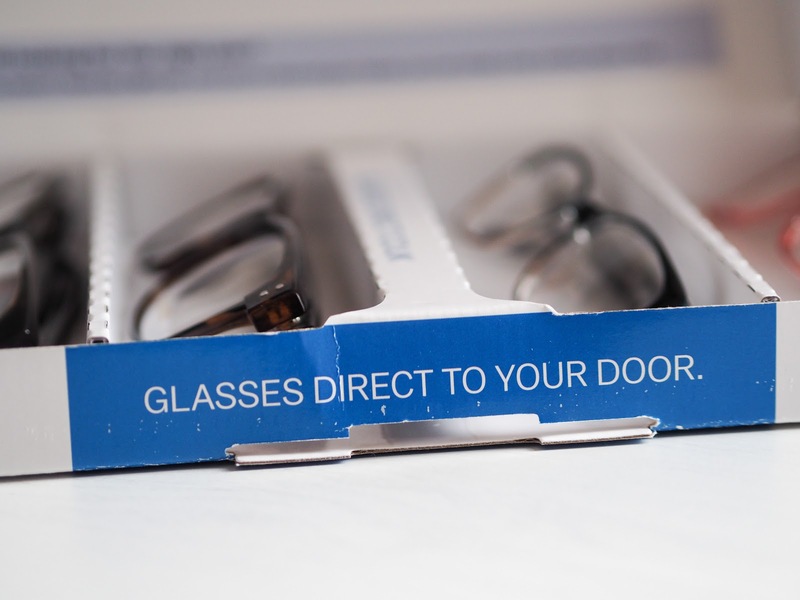 As mentioned in my last post, one of my favourite parts of buying frames through Glasses Direct is the fact that they offer a home trial, meaning you can get frames delivered straight to your door for you to try on. 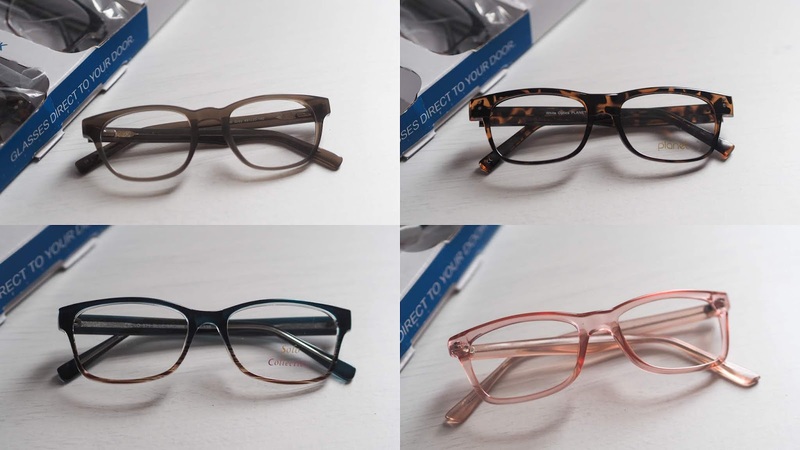 I ordered two home trials before picking out my glasses, and I was honestly so impressed with all eight styles that I tried on. In my first home trial I tried on Andi, Planet 38, Solo 571 and Olivia. The frames ranged in price between £20 and £49, and they were all completely different from each other. My favourite out of the four were the Solo 571, which had the graduated colour of blue to brown. My second home trial conststed of Planet 51, Planet 03, Quinn and Solo 591. Again, the frames ranged between £20 and £49. My favourite pair of the four were the Solo 591. In the end, I was torn between the two, so I did a third home trial and ordered both pairs each in two different colours. It was really helpful, and let me see both the frames together, and the two different colour options for each that I was torn between. Ultimately, I went for the Solo 591 frames as I loved how they looked on me, and I really liked the blue colouring on them. I've been wearing them for the last few weeks, and I'm incredibly happy with their performance so far. Not only did they turn up within a week of the order being placed, they're also great frames and nobody can guess they cost as little as £20! 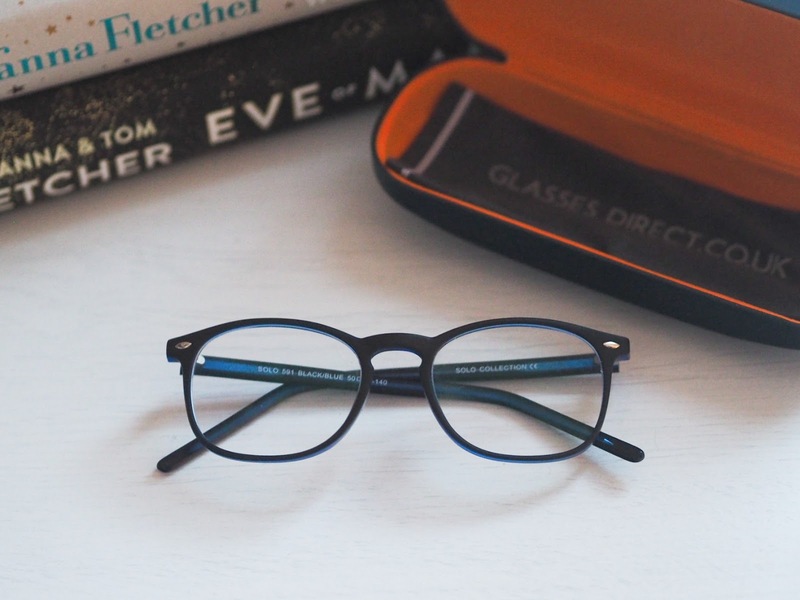 Not only do Glasses Direct offer great frames for incredible prices, if you purchase a pair that are £49 or more, you can also make use of their 2 for 1 offer, which would mean you'd get a second pair of frames for free! Let me know if you end up purchasing any glasses through them, and if so, which frames!